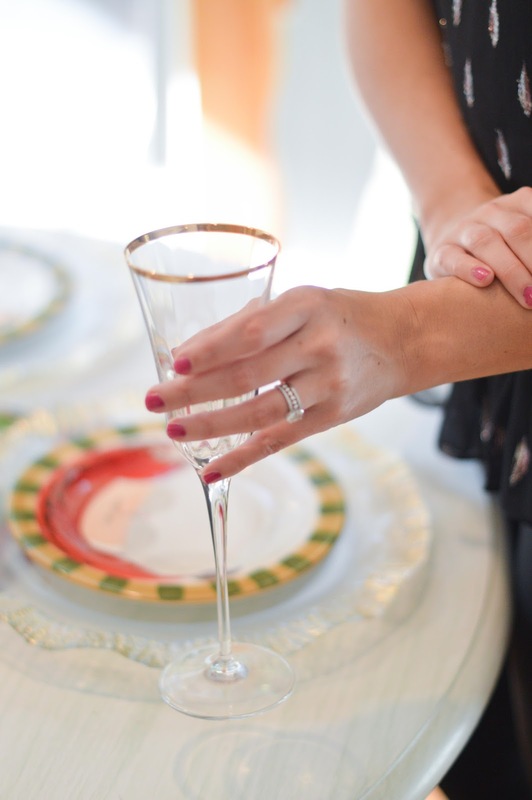 It's no secret I love Vietri! 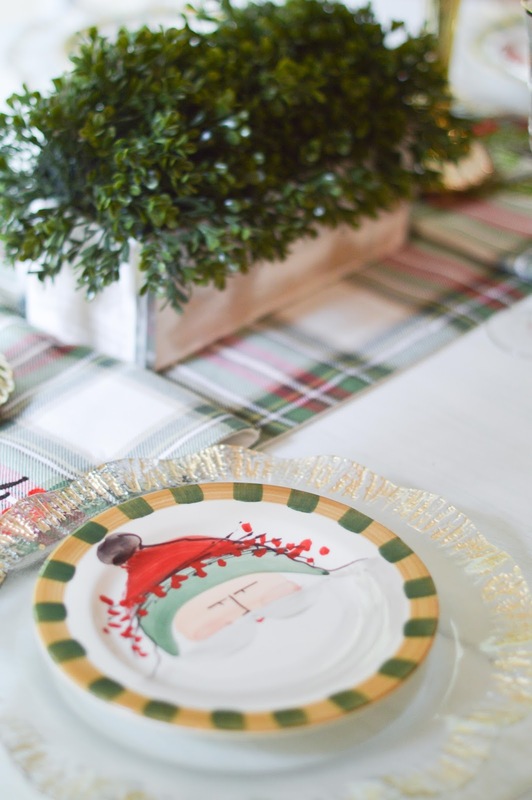 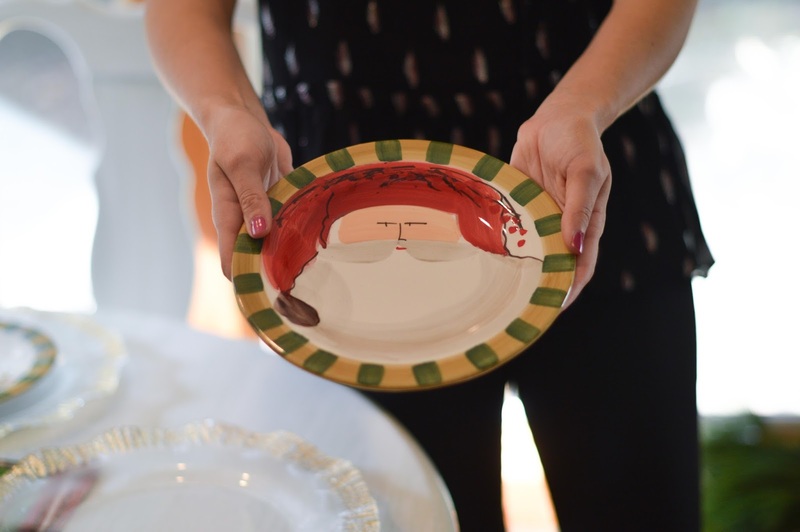 When registering for our wedding, I immediately fell in love with the ruffolo chargers as I knew they would add something festive to our table year round. 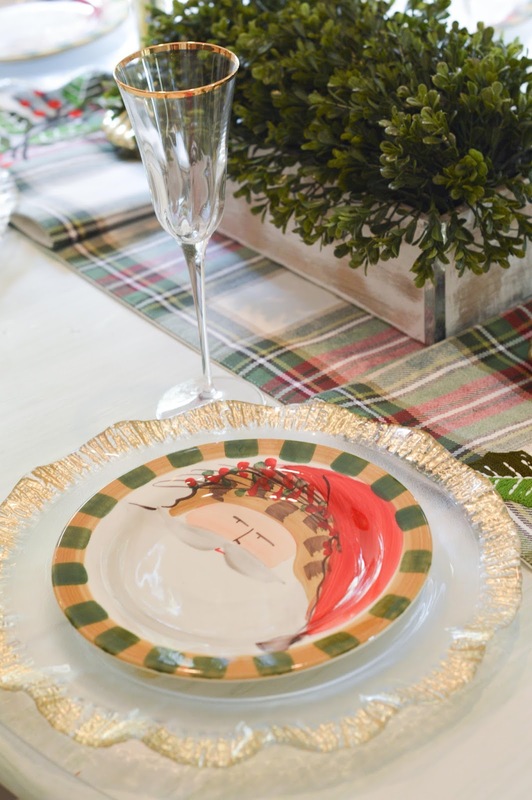 We ended up going with simple white scalloped dinner plates that we could mix and match with other decorative pieces, and one of those happened to be the salad plates from Vietri's Old St. Nick collection. 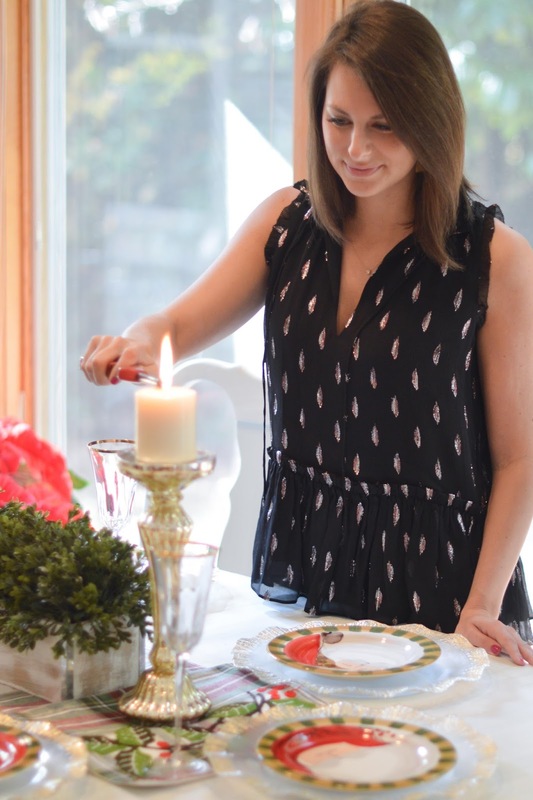 We received so many of our Christmas pieces back in June at one of our wedding showers, and it was hard not to want to break them out immediately. 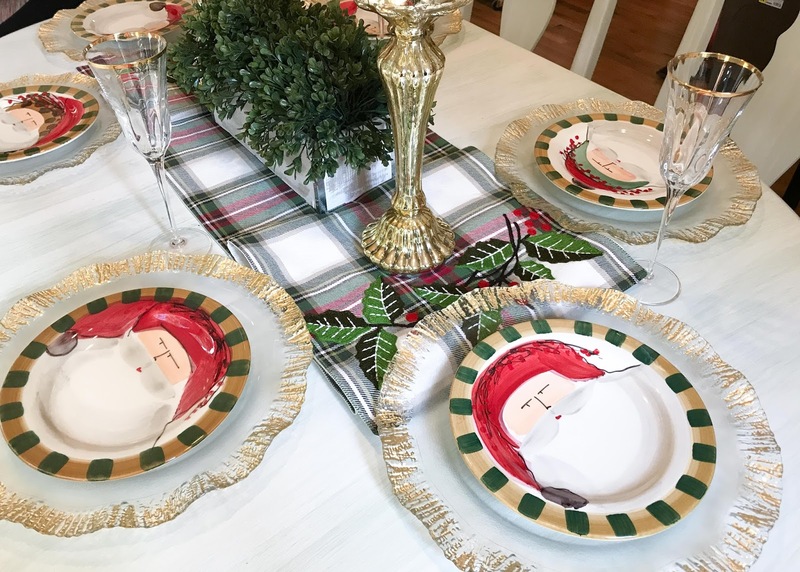 But of course, as soon as the tree went up, I couldn't resist pulling out our adorable St. Nicks. 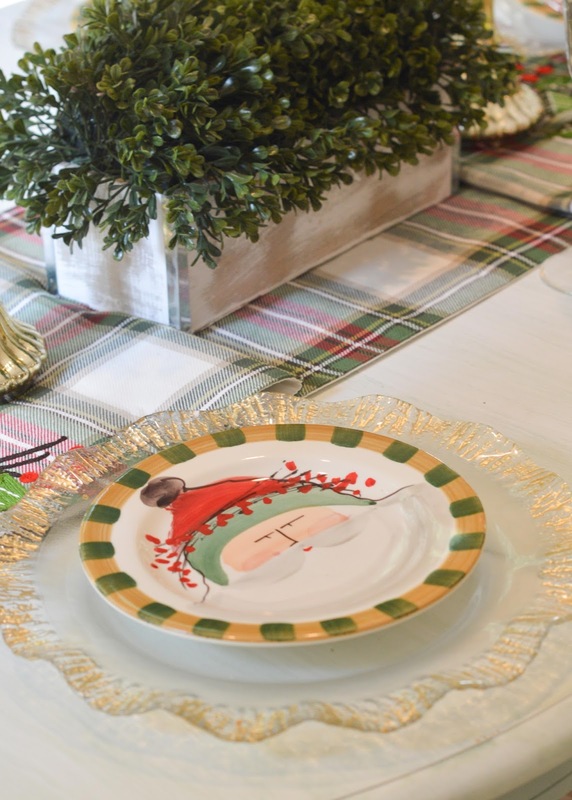 The salad plates are perfect as they look great on their own with the chargers but will be wonderful additions when we have our dinner plates on the table as well. 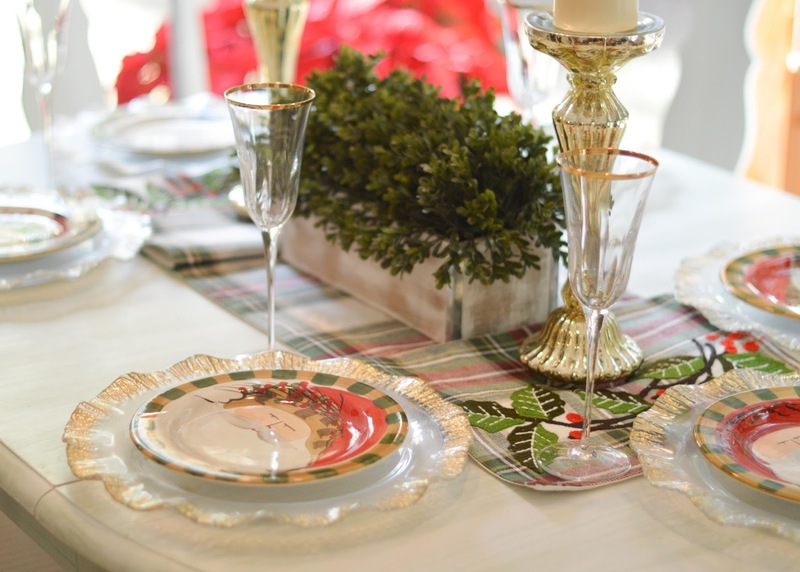 Vietri also generously provided us with gorgeous champagne flutes that match our decor! 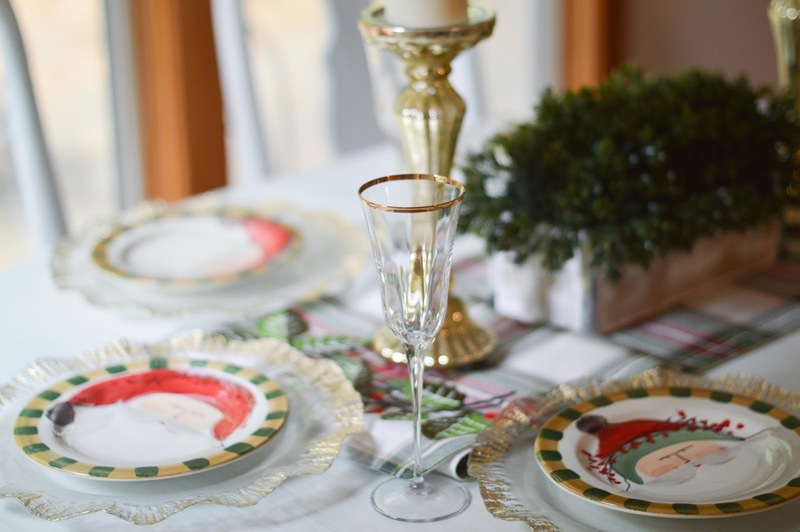 I have some displayed on our table with others in our china cabinet, and though they are perfect for my Christmas tablescape, I have no doubt they will come out year round. 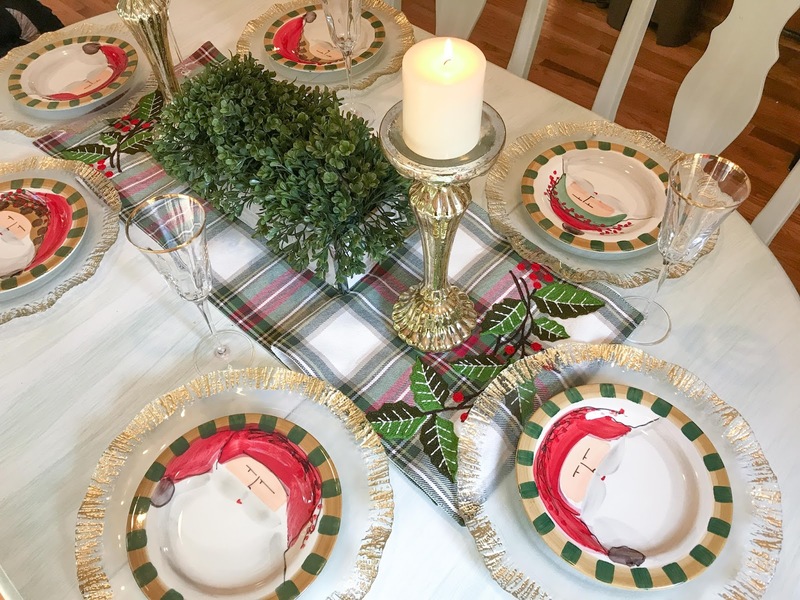 For the rest of the table, I opted for a plaid table runner, but instead of letting it run of the edges, I folded it to create a more centered display. 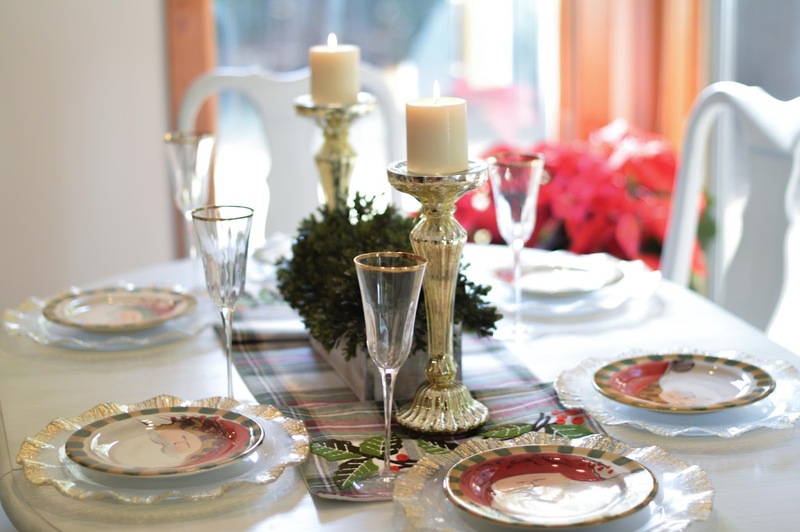 I added in a boxwood and a pair of mercury glass pillar candle holders, and I can honestly say that this season's tablescape is my favorite I've ever done! 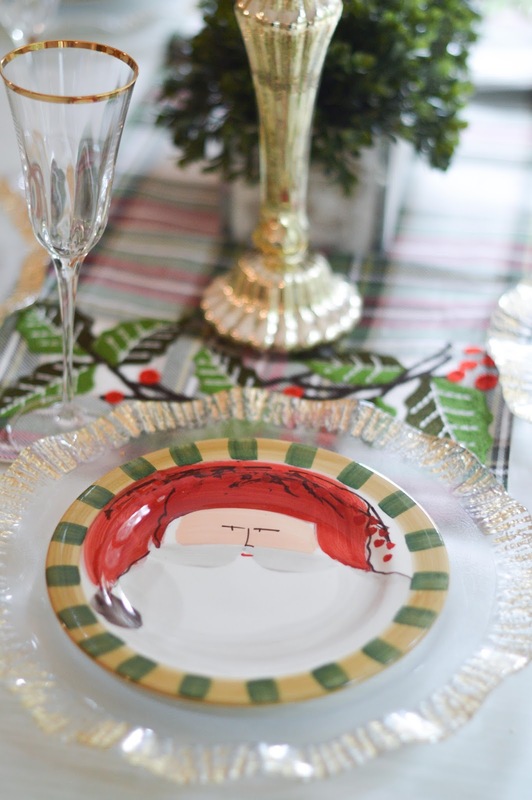 How are you decorating this holiday season?